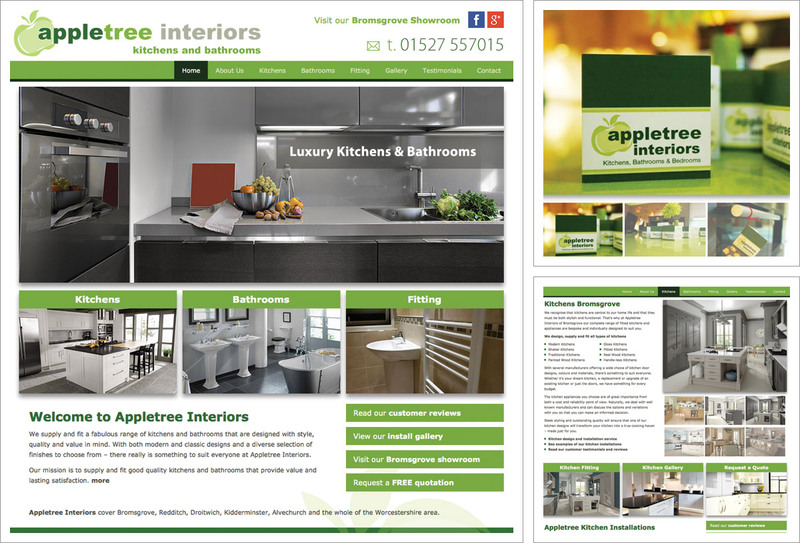 The new Appletree Interiors website is installed with many inspirational ideas for kitchens and bathrooms. The website has a horizontal navigation bar and full screen, wide layout which lends itself perfectly to show off those beautiful bathroom and kitchen images. Distinctive logo, themes and backgrounds to compliment the Appletree branding. The Gallery is in a lightbox format and contains around 40 high quality completed kitchen and bathroom projects. Social media platforms include Facebook and Google+ and Regular interaction with their customers via these communication platforms will really help build confidence, attract new visitors and give Appletree the opportunity to show off new and completed installations. The website has been built using good on-page SEO techniques and already is ranking well in the search engine results. Contact information is available on all pages with the Contact Us page displaying opening hours, a Google Map and a secure online contact form.